If you’ve been keeping up with the mid month dev blogs, then you can probably guess at the reason for the tardiness: there’s been too many updates! March (and the first week of April) was a huge month for updates so we’ll do our best to cover them here. One of the cornerstones of Donesafe is the ability to automate your safety. As the platform has expanded, so too has the complexity of workflows and automations needed. Because of this, we decided to go back to rethink workflows and rebuild something visual, simplified and far more flexible. 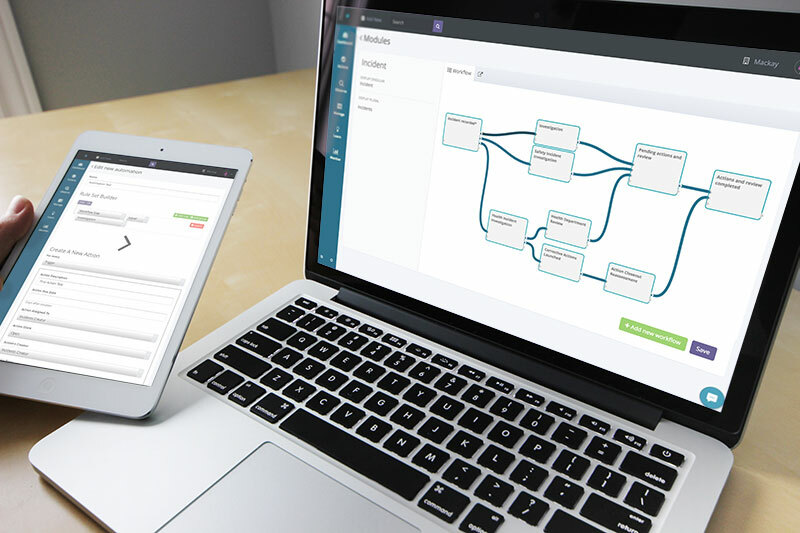 The new workflow builder allows you essentially unlimited control over the complexity of your workflows, allowing you to choose who can edit during each stage, who’s allowed to adjust stages and most importantly; under what circumstances a workflow CAN be changed. This was a HUGE update so it got its own article which you can read by clicking here. 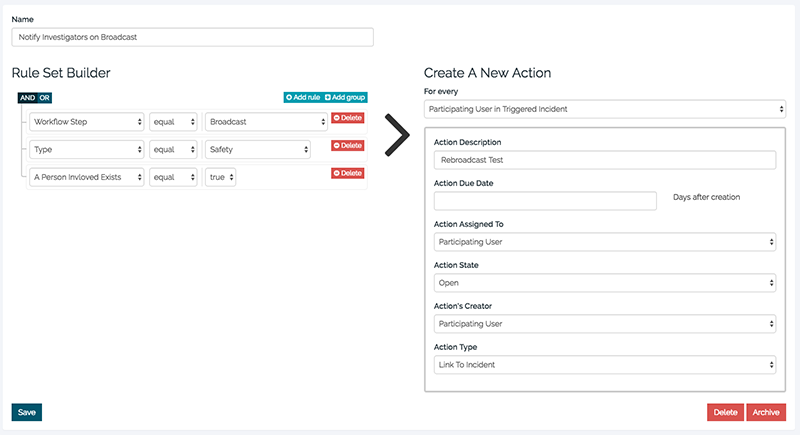 To replace the old ‘Action Tracks’ tool in the long run, we’ve built a new Automations tool. As with workflows, the needs of our clients were starting to outstretch the capabilities of the old ‘Action Tracks’ engine. Action tracks had become clunky as we added more things to it which made it both confusing and difficult to manage. SO, we went back to the start and built something awesome. Use And/Or logic to set your conditional action triggers. Send actions to who you want, without the risk of spamming everyone. Send actions to one or many, and easily choose who they go to. As the new automations tool once again, got its own article thanks to its scale, which you can read here. The Scheduler is another brand new feature of Donesafe and allows you to set up repeating scheduled record creations within the platforms. These repeat records can be either Actions, Audits, Observations or Consultations. We’ve built this in because we began to see a demand for repeat and regular audits in the system. For example, it may be a requirement of an organisation for all Workers in Adelaide that drive company cars need to fill in a fortnightly safety audit of their vehicles. Guess what? You can do that now! Making them do it every two weeks is a little mean, but the frequency is totally up to you. ;). When you create a schedule, Donesafe will automatically create records, whether they be Audits/Observations/Actions/Consultations and assign them to those that need to complete it. For the time being, you’ll need to set up your notifications for these assignments separately using ‘Automations’, but in the long run, we’ll be tying these two systems together. 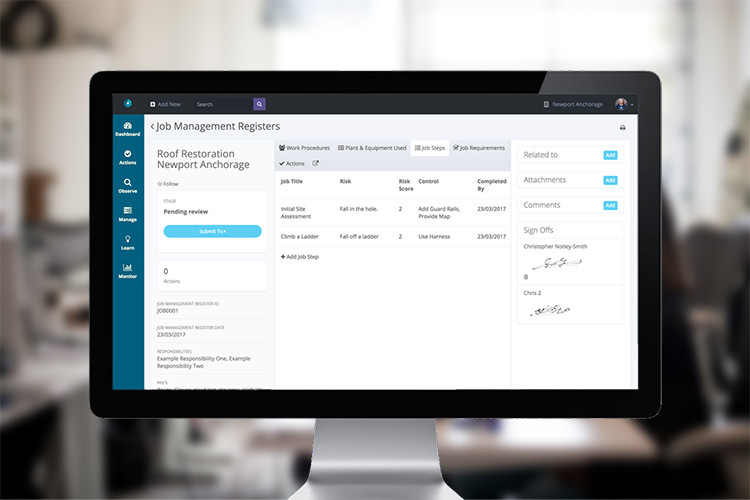 New Job Management Module for SWMS, JSEA etc. 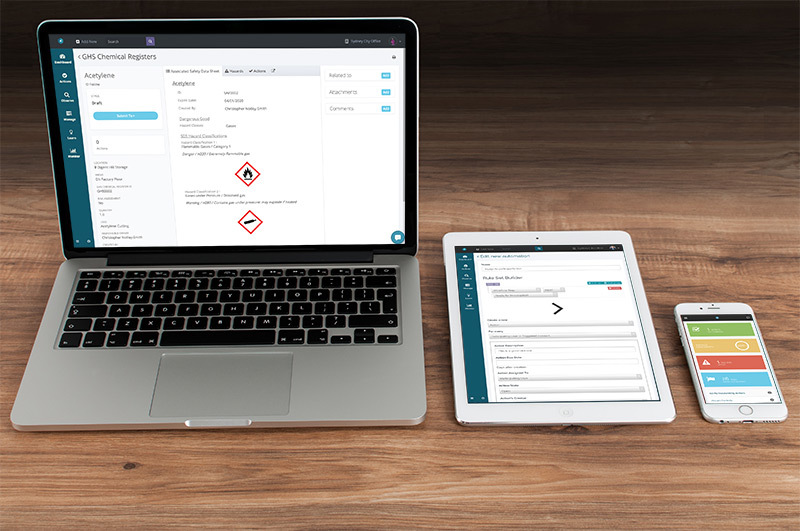 Using this new builder for a single job you can manage your required Licenses, PPE, Required Qualifications, Code of Practices, Procedures, Plant and equipment, job steps and job requirements; THEN once it’s ready to go, have a manager physically sign off on it and output it as a ready to send JSEA/SWMS/JSA. It’s designed to allow you to create your work docs on the fly and have them instantly accessible from everywhere. To learn how to use it and how to enable it, make sure you check out the full release article here. New UI Update! 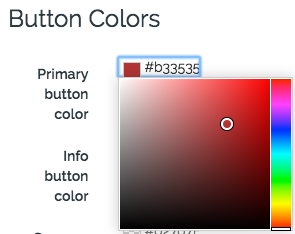 You can now set your own colours for buttons, menu font colours etc. On the surface it just looks like we’ve ‘prettified’ the front end. 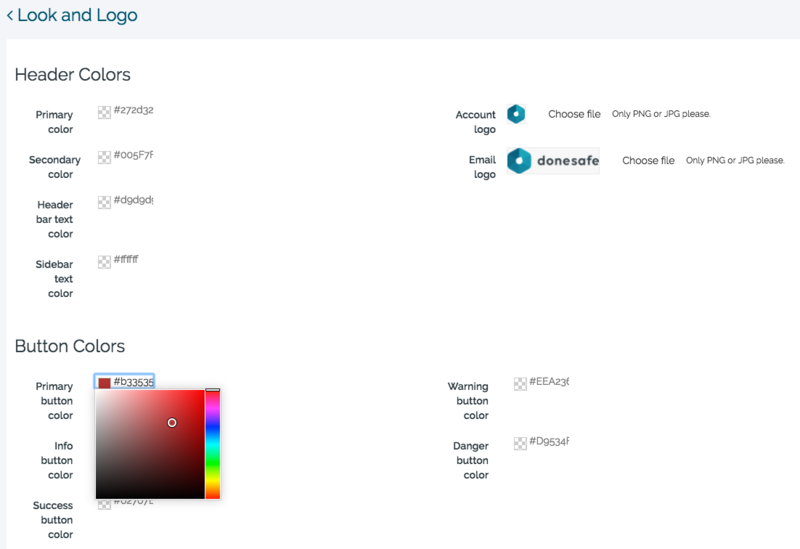 You’ll see that the fonts and colours (among other things) are now closer in line with Donesafe’s branding, BUT that’s not why we did it. The reason we actually did it was to enable you to bring Donesafe more in line with your OWN branding. This update unlocks the ability to recolour the rest of the platform. If you go to Settings > Look and Logo you’ll now see a BUNCH of new options available to you. Using a brand new colour picker you can now choose the colour of the buttons in the platform, the main and side menus, as well as the menu font colours also. Thanks to the colour picker, it’s now really easy to go and grab your colours, so if you’re feeling game, go in and experiment. Make Donesafe, just that little bit more yours! We haven’t finished yet either. Over the next few months, we’ll be bringing in more options including the ability to choose fonts as well as a number of other options. So keep an eye on the look and logo section. This one has been a common request since Donesafe was created. If for example you are trying to work through a list of incidents, then you go into one to make a change; in the past it wasn’t possible to go back to the list as you had it. Now you can! The only caveat to this is that it can only be done by using the forward and back buttons on your browser. It’s on the cards to incorporate this functionality into Donesafe’s native navigation BUT, more thought needs to go into it; there are plenty of times where you wouldn’t want those filters to be retained so it’s not quite as simple as copying it over. For now, using your browser’s forward and back buttons is a quick way to work quick. Specifically, this report pulls in document records stored in the users section. It’s in the user section that records like licenses can be applied to specific users and there was a need for many account administrators to be able to quickly look up which users had expired licenses. Now, using the report builder you can do this relatively quickly. To do this, head to Monitor > Reports > Report Builder. Then in the report builder settings for the ‘Report Type’ choose, ‘Document’. From there you can apply filters, specifically around the ‘Valid Until’ field. For example, you might want to see who has expired forklift licenses in your ‘Factory’ organisation. Bringing these user record documents to a point where they can be managed en masse is something that we’re going to be working on over the next few months as part of a larger learning management upgrade; so really this is just the first step to a much larger chunk of learning management upgrades. 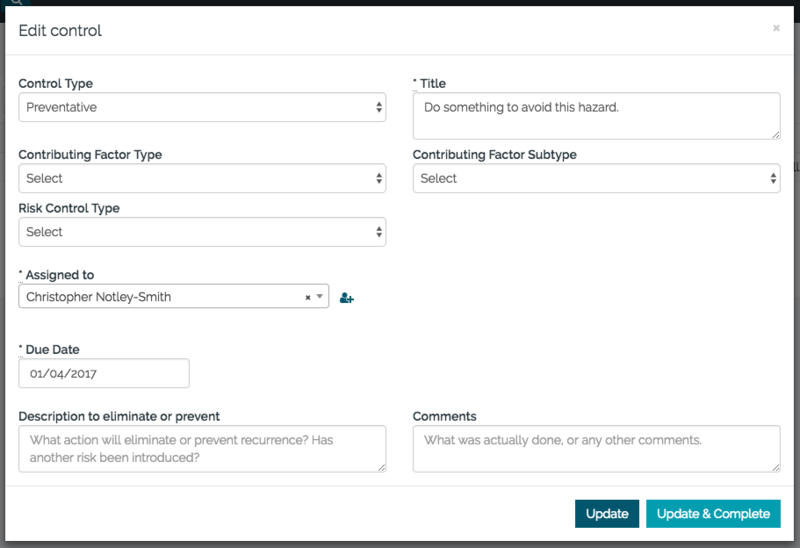 To get a better understanding of how to use the report builder, make sure to check out the release notes here, which gives you a run down in a little more detail. As soon as we launched our Visitor App we started getting requests to expand it not just to visitors, but also normal site staff. Until this feature was launched all signi-ns had to designate a ‘visitee’ when they arrived on site. Now you can skip that part of the process for normal employees as opposed to visitors. To enable this, go to Settings, then scroll aaaaall the way down to Visitor Register Types. Once there, select the visitor types you consider to be employees, click on that type, then use the checkbox to enable skipping the visitee field (then update). If you DO choose to use the visitor app as an employee signing app it essentially just streamlines the process, just be aware that if you’re skipping the visitee it will only work when that employee’s home location matches that which they’re signing into. Added ability to literally ‘Sign Off’ on records. 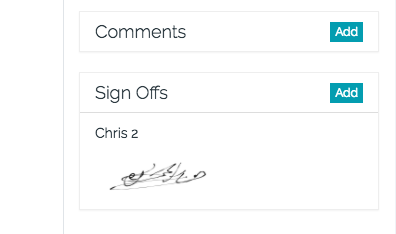 For many areas of the platform, we’d been getting requests to enable signatures. This is something you can do now on any module. Signatures can be enabled per module if you have admin access. To learn how check out the instructions here. If you intend to be a heavy user of this, you can also save your signature for future use (to save you from having to write it every time). To do this, go to your profile. You’ll see the new signature option available. 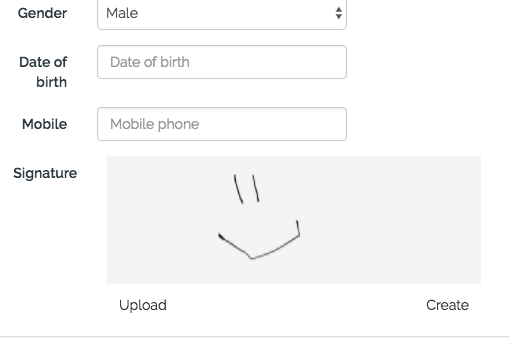 Simply create one or upload one once, then when signing stuff in future, you’ll have the option to use the stored one or create a new one. Users may need to enter a home address for example and you don’t necessarily want that visible to all other users. It will lead to duplication. Despite all of this, it may still be important to capture that information. Let’s take a look at what that looks like. To enable ‘location details’ for a particular location, go to Settings > Locations, then find or create a location that could encompass multiple locations. Something like ‘Working From Home’ or ‘On the Road’. Once in, enable the checkbox ‘Request Detail’. In this example, I created ‘On the Road’ and enabled this field. Now, if I select ‘On the Road’ in an incident report as a user I’m forced to provide more detail. In this case I’ve provided the road name and location. On saving that, this information will be shown in the location box on the record as per below. Is that it? Not at all! Since updates are coming so quickly and consistently now, rather than list all 87 notable updates in March in a blog article, instead we’ve set up a new Update Logs section in Donesafe help. We update these logs once a week so if you need to check any recent changes you can do so there. These changes include new features as well as new bugs so it’s always worth a look. To see the full list of updates for March, click here! Of course, if you have any questions about any of those items, don’t hesitate to reach out, either by commenting here or reaching out to support. Until next time; stay safe out there!